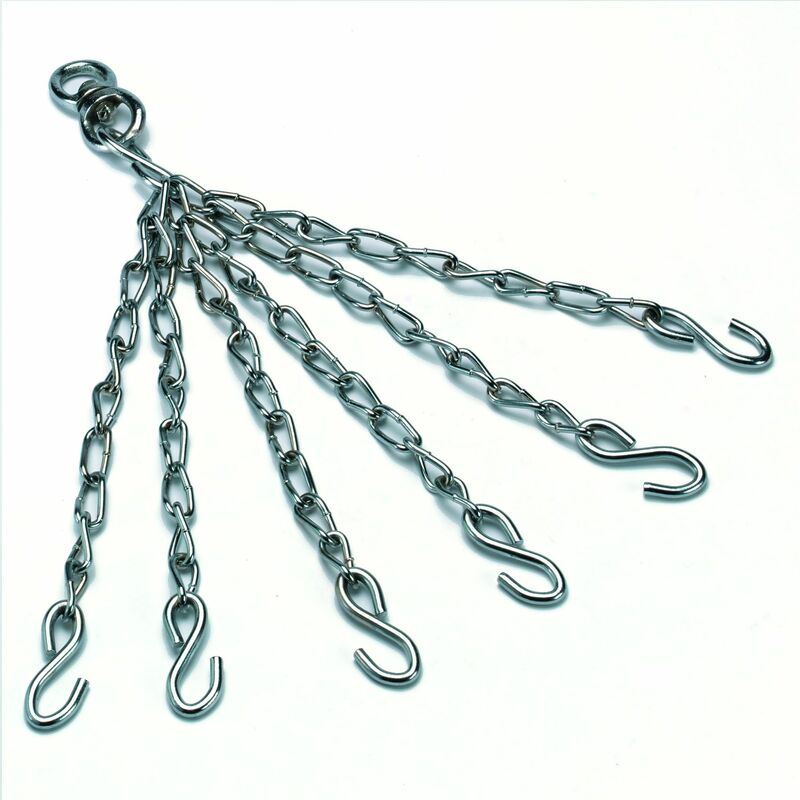 The BBE Club 6 strand punch bag chain weighs approximately 1kg (2.2lbs) and is attached to a rotating swivel which allows the punch bag to rotate in order to reduce undue stress on the chain links and the bag fixings. This chrome plated punch bag hanging chain is supplied with welded metal links. for submitting product review about BBE Club 6 Strand Punch Bag Chain.